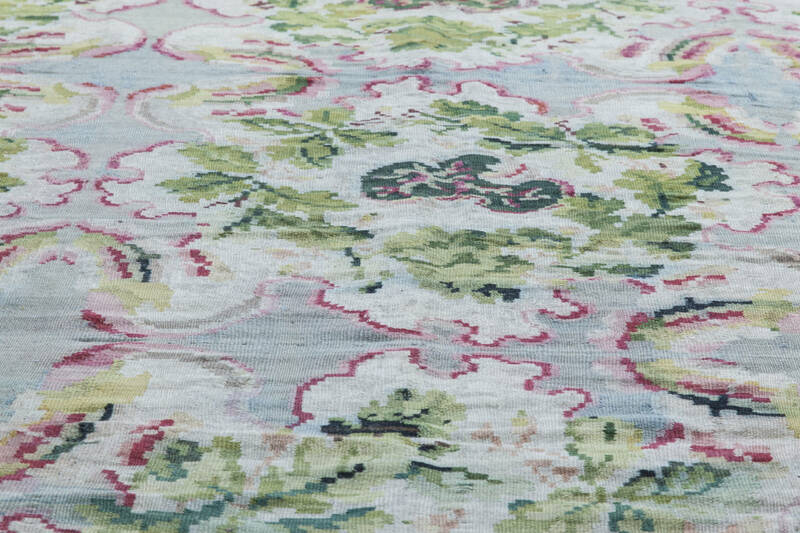 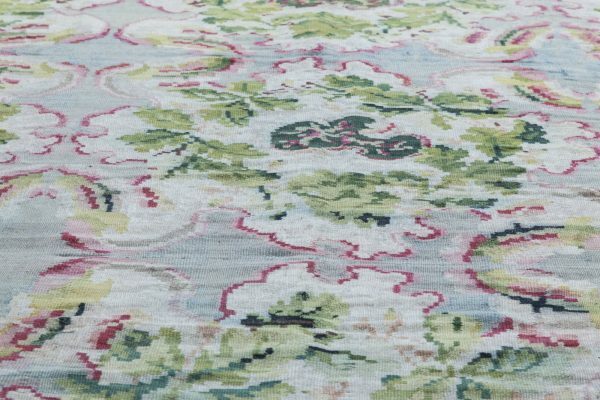 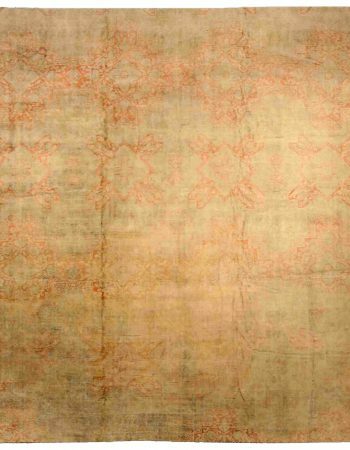 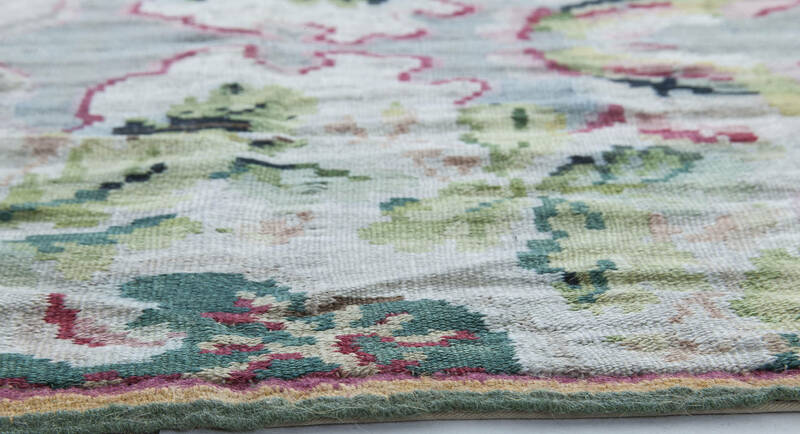 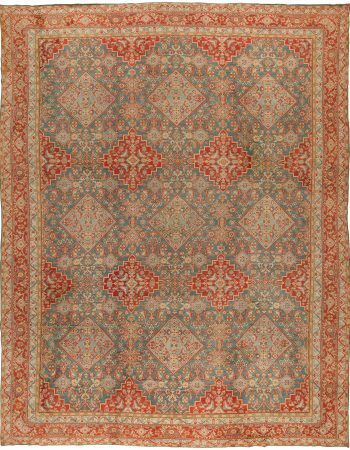 This Bessarabian antique carpet is will take you on an unforgettable adventure to the dusk of the 19th century. There are not many items still available on the market whose history is so profound and so far-reaching into the past. 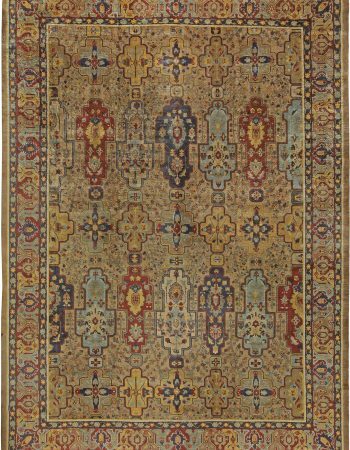 Although this wondrous European carpet was created a long time ago, it remains unblemished by time and vicissitudes of life. 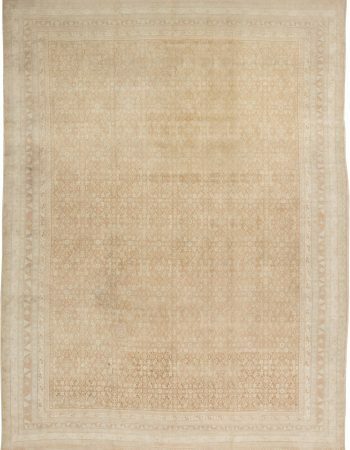 This remarkable quality is ensured by the hand-execution of the finest wool according to traditional weaving techniques. 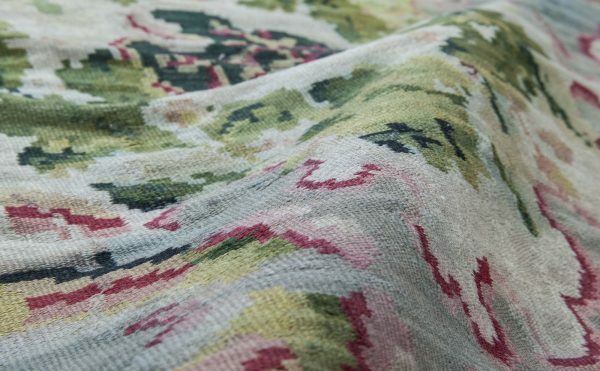 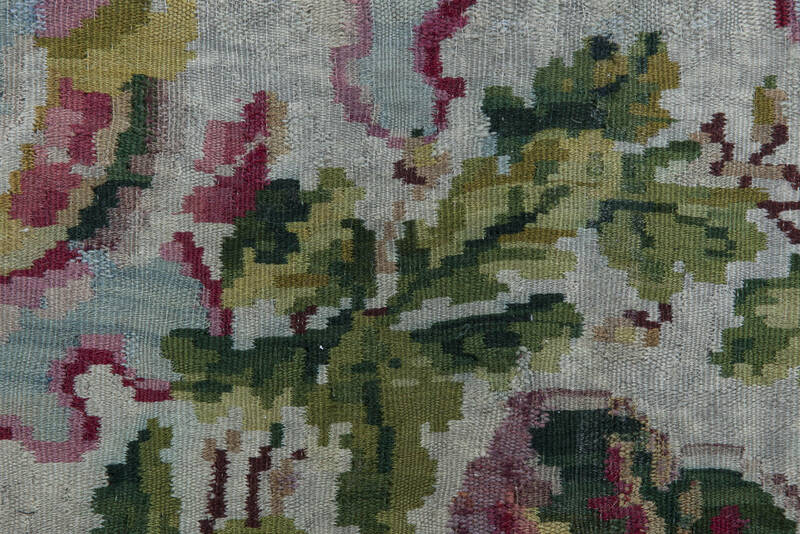 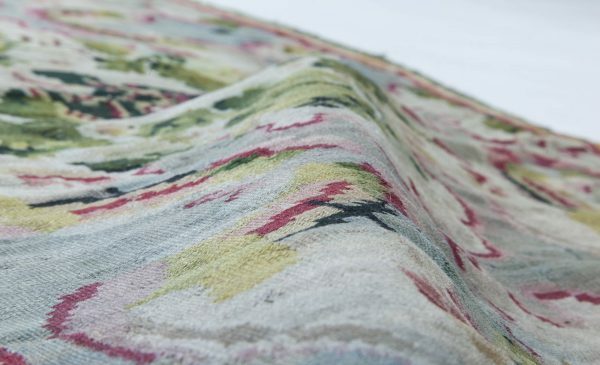 The slight Abrash effect visible at the bottom part of the pile is caused by the application of natural dyes to the threads which further highlights the refinement of the fabric. 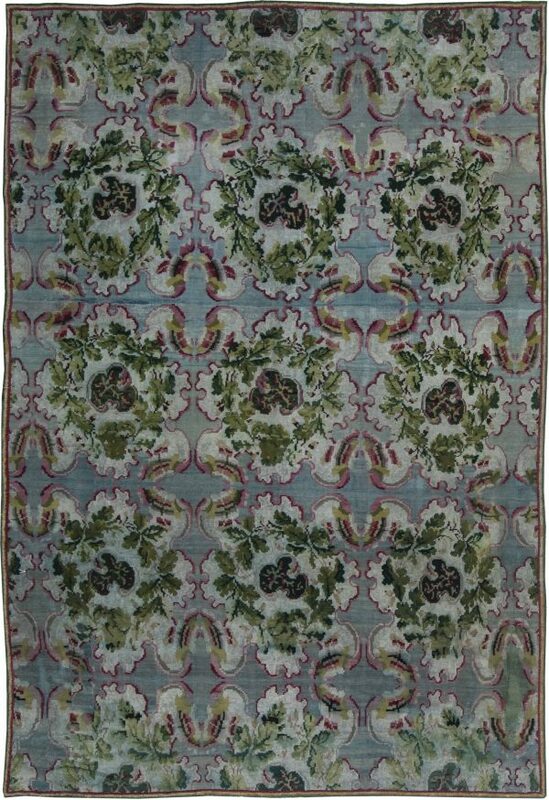 The allover foliage design is composed of emerald green leaf-wreath medallions on the grayish-blue background which are smoothly combined together by meandering floral motifs with a touch of deep fuchsia. 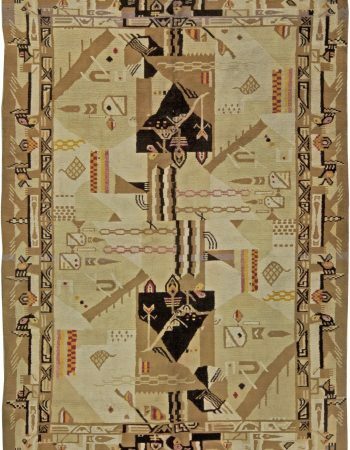 Such composition is a classic example of Bessarabian rug design. 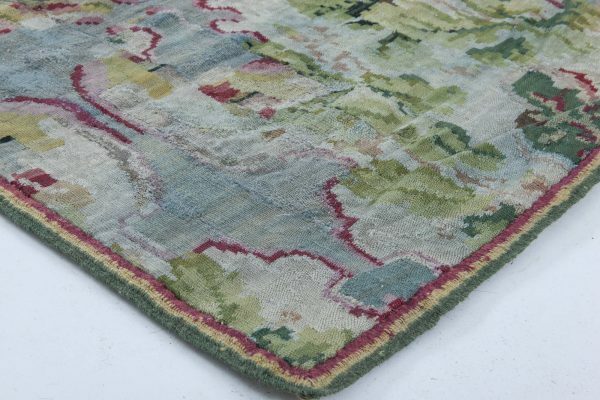 Not only is this eastern rug a qualitative utilitarian object but also it is a work of art and a precious, genuine antique.